It's common to hear phrases like "Florida community property law,” “equitable distribution” and “marital assets” in discussions about Florida divorces. All these phrases refer to the distribution of the divorcing couple’s property, a key part of any divorce. Leaning about Florida's "community property" laws can help you direct conversations with a lawyer if you're facing divorce and to understand the court’s processes more completely. You'll be able to advocate for your interests more effectively while the divorce is pending. "Florida community property law" is a misnomer because the courts follow the equitable distribution model in Florida when distributing the couple's property. Married couples in Alaska can opt to have community property rules applied to their assets and debts, but this isn't the case in Florida. There is no Florida community property law because Florida courts follow the doctrine of equitable distribution when dividing divorcing couples’ marital assets. With both distribution methods, each partner walks away with some share of marital property. The difference between the two methods is how the court determines each partner’s share of marital property. All marital assets are generally considered to belong equally to both partners and must be divided equally under the doctrine of community property law. In equitable distribution states, the court has the discretion to determine a fair way to distribute the couple’s assets that might not necessarily be completely equal. Desirability of retaining the marital home as a residence for any dependent child of the marriage or for any other party when it would be equitable to do so, is in the best interest of the child or that party, and is financially feasible for the parties to maintain the residence until the child is emancipated or until exclusive possession is otherwise terminated by a court of competent jurisdiction. In making this determination, the court shall first determine if it would be in the best interest of the dependent child to remain in the marital home; and, if not, whether other equities would be served by giving any other party exclusive use and possession of the marital home. The court has the discretion to weigh the factors it deems important more heavily than others. For example, if the couple has minor children who have spent their entire lives in the couple's marital home, the court might grant the family home to the parent with primary custody. The court might then award the other partner a larger share of the couple's joint savings and their higher performing investments or other assets to make up for one partner receiving such a significant share of the couple's marital estate. Separate assets are those that each partner owned prior to entering the marriage. Any assets obtained through inheritance or as gifts while an individual is married are also considered his separate assets. When a couple divorces, each partner retains his separate assets. 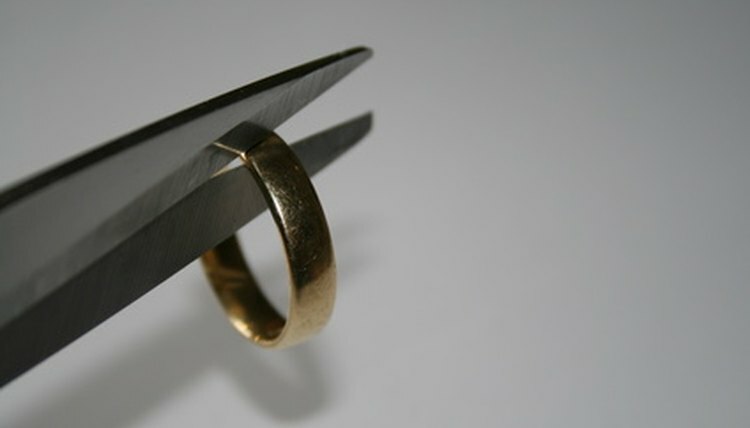 Only marital assets are divided between spouses in a divorce. Marital assets are defined as all assets the couple purchased, obtained or created during their marriage. This includes commingled assets. These might start out as separate assets, but then change in value because of the couple’s joint efforts. An example of a commingled asset is a home that one partner purchased prior to entering the marriage that became more valuable during the marriage because of her spouse’s renovation efforts. In this scenario, part of the home’s value is subject to division in their divorce, but the court determines what percentage of its value should remain with the original owner. Kramer, Lindsay. "Florida Community Property Laws." , https://legalbeagle.com/6394335-florida-community-property-laws.html. 19 February 2019.